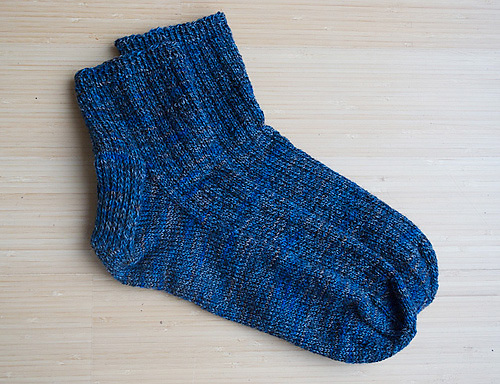 GreenEyedSusan, aka long term p/hop supporter Susan Bromiley, has donated this great men’s sock pattern to p/hop in memory of her Grandfather, Lyle. 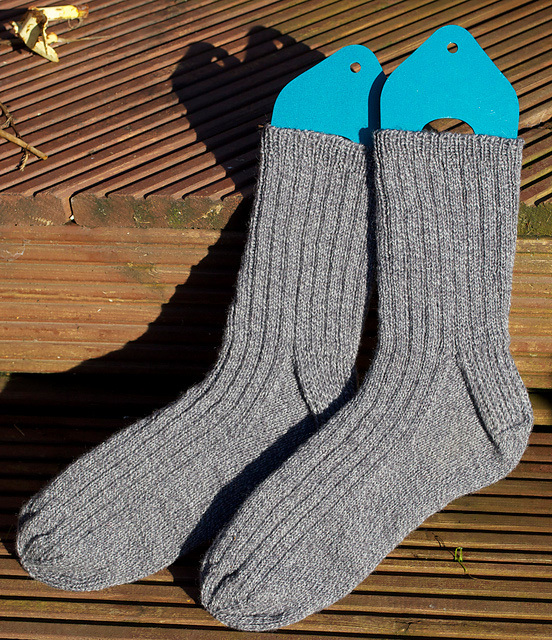 Lyle socks are simple, versitile man socks knitted in a classic rib pattern to make a stretchy sock with a good fit. The pattern includes foot lengths for UK sizes 8-12 (Eur 42-47, US 9-13) so you can knit socks for all the men in your life. You can read about Susan’s inspiration for her pattern here. Blue sample (UK 9, short cuff) used approx 85g. Grey sample (UK 10, longer cuff) used 96g. A long- cuffed sock in the larger sizes (UK 11 & 12) will require more than one 100g skein. To make a single skein suffice, either knit the short cuff or use a contrast colour for the toe & rib. To see what others have made from this pattern, please visit the Lyle Socks pattern page on Ravelry.